Superior build quality and designed for under a windowsill. Lean-to - increased stability in high winds and brick or concrete walls provide better heat retention at night. Faster growth - 4mm thick toughened safety glass provides superior light transmission and heat retention. More controllable - sliding panels provide a little or a lot of ventilation, and no hinged doors to bang in the wind. Optional automatic louvre vent available. 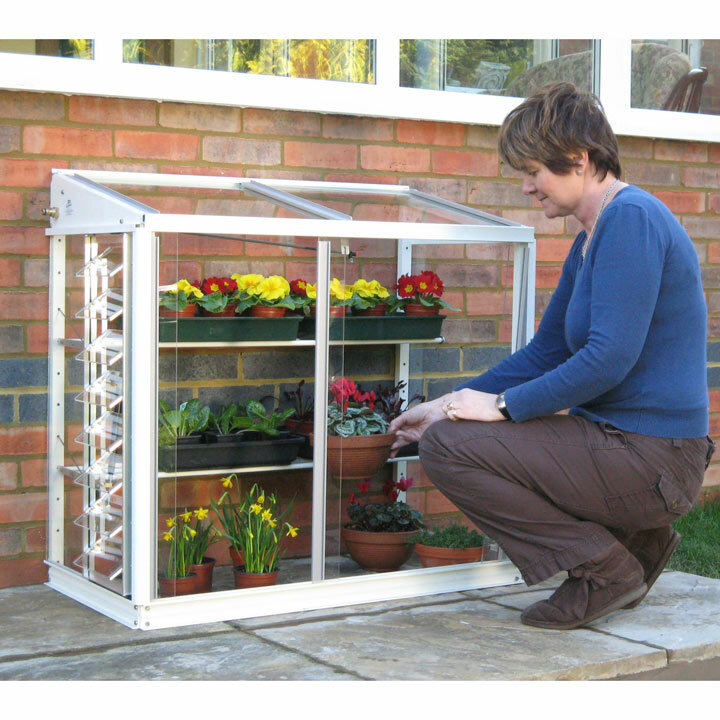 Versatile - 2 adjustable seed tray shelves are designed for seed trays. Can be removed in summer for more space. Long life - architectural aluminium has 25 year guarantee. 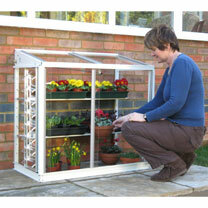 Watering system - built in watering system provides gentle mist watering inside the greenhouse. Length 1m (3'4"); Depth 0.53m (1'9"); Height 0.95m (3'2"). PLEASE NOTE - A postage surcharge per item ordered is applicable.